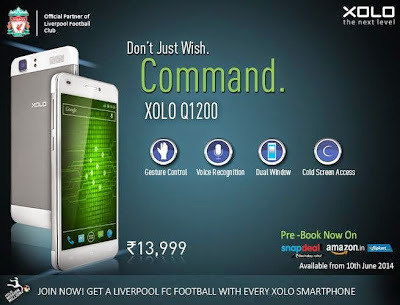 The Xolo Q1200 is priced at Rs. 13,999. It can be pre-booked now on Snapdeal and Amazon and will go on sale on 10th June.